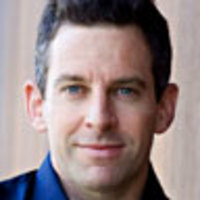 Sam Harris is the author of the New York Times bestsellers The End of Faith, Letter to a Christian Nation, and The Moral Landscape. His writing has appeared in Newsweek, The New York Times, the Los Angeles Times, The Economist, The Times of London, The Boston Globe, The Atlantic, The Annals of Neurology, and elsewhere. He is a cofounder and CEO of Project Reason, a nonprofit foundation devoted to spreading scientific knowledge and secular values in society. He received a degree in philosophy from Stanford University and a Ph.D. in neuroscience from UCLA.